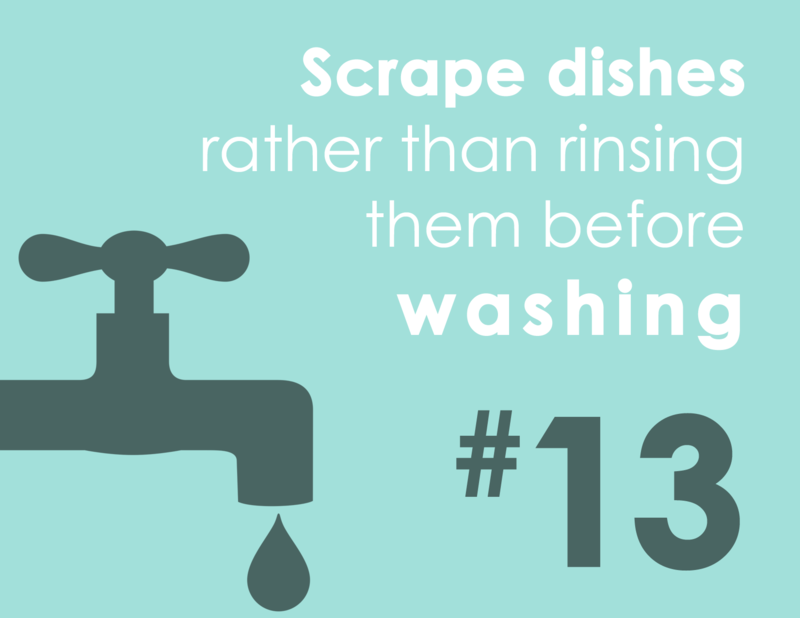 The kitchen is a water-wastage hotspot. Not only because of activities like washing and cooking, but also because of the ‘virtual water’ wastage or ‘water footprint’ of the foods we buy. 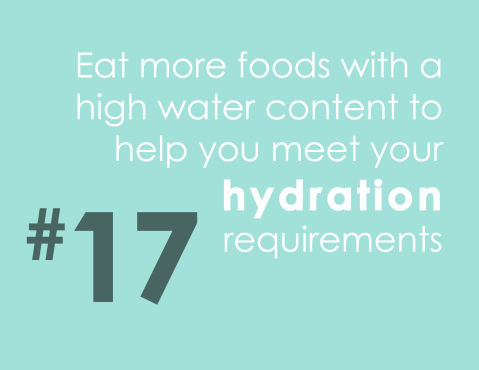 Try to be mindful of the ecological and water footprint of the foods you choose. Many food companies are extremely wasteful in the farming and manufacturing process, while others make every effort to keep water usage low. 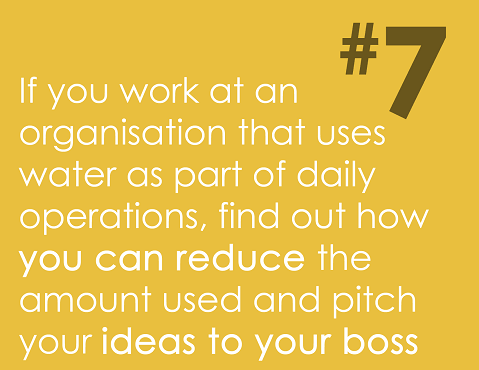 a single rose can take as much as 10 litres of water to produce? Fresh cut flowers and the floriculture industry is very energy-intensive. nearly 1 billion litres of treated water is lost every day through leaks and cracked pipes in Australia? 1. Place an empty bucket on one of the steps of your pool, in the water but not completely submerged. 2. Fill the bucket with water so that the water level inside the bucket and outside the bucket are the same. 3. Mark the water level on the bucket with a piece of duct tape or wax pen. 4. 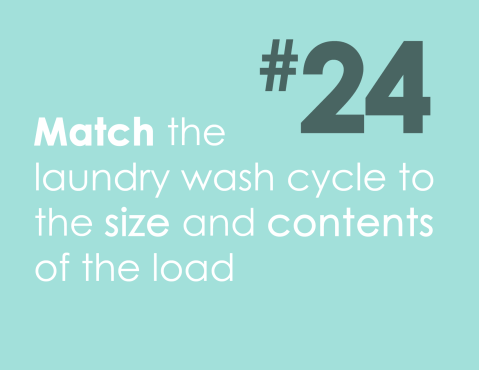 Wait at least 24-48 hours for evaporation to occur. If the water levels are still the same after 24-48 hours then your pool is fine! 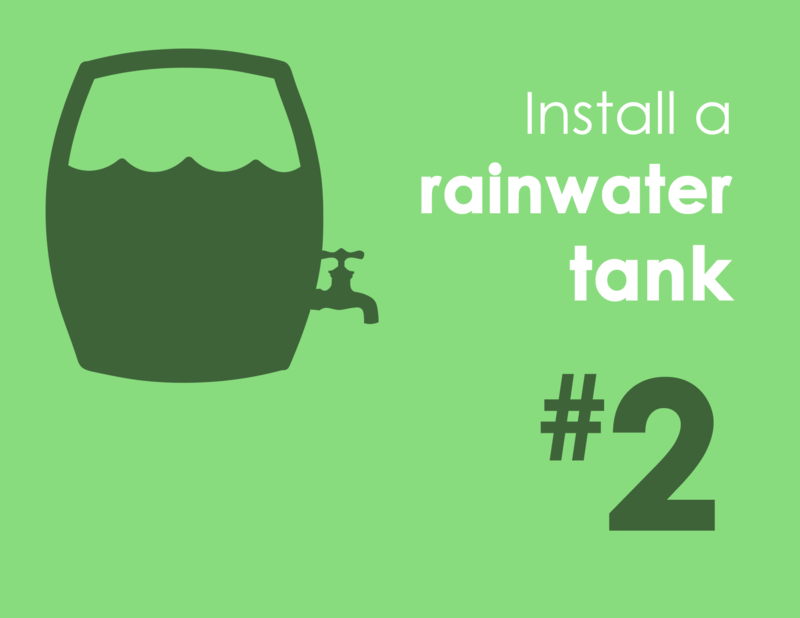 If your pool has lost significantly more water than the bucket, you may have a leak. 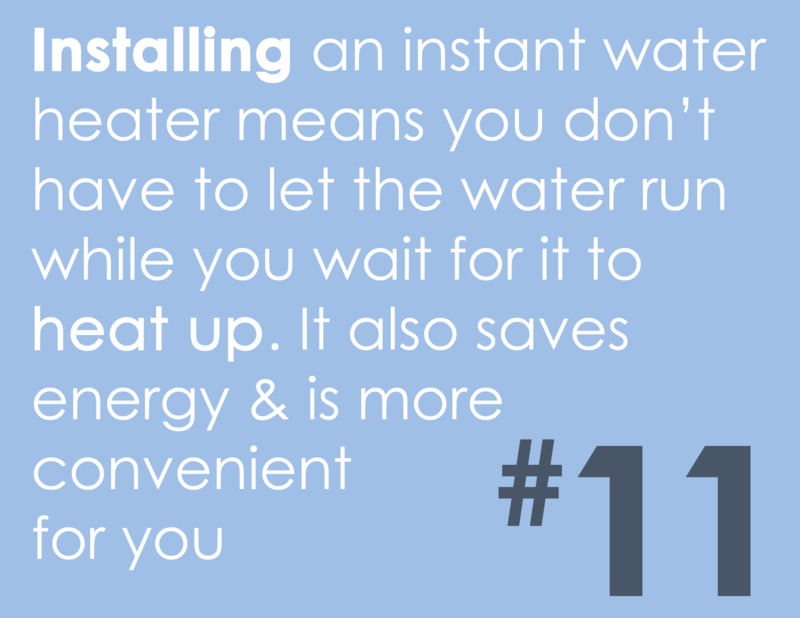 If you can’t install an instant heater, use a bucket to collect the cold water that runs while you’re waiting for the water to heat up. that a standard garden hose uses 10 gallons of water per minute? Fill a sink or bucket to use for rinsing instead of rinsing under running water. 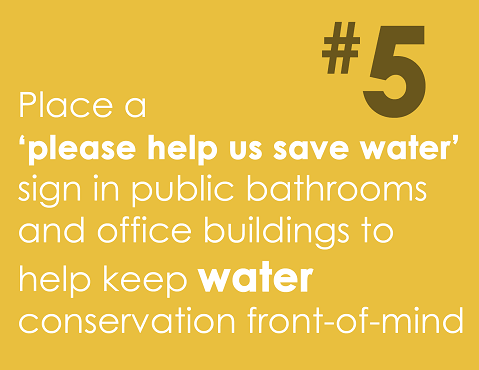 Saving water doesn’t have to be dull. Getting staff and office personnel involved makes for a fun group activity. 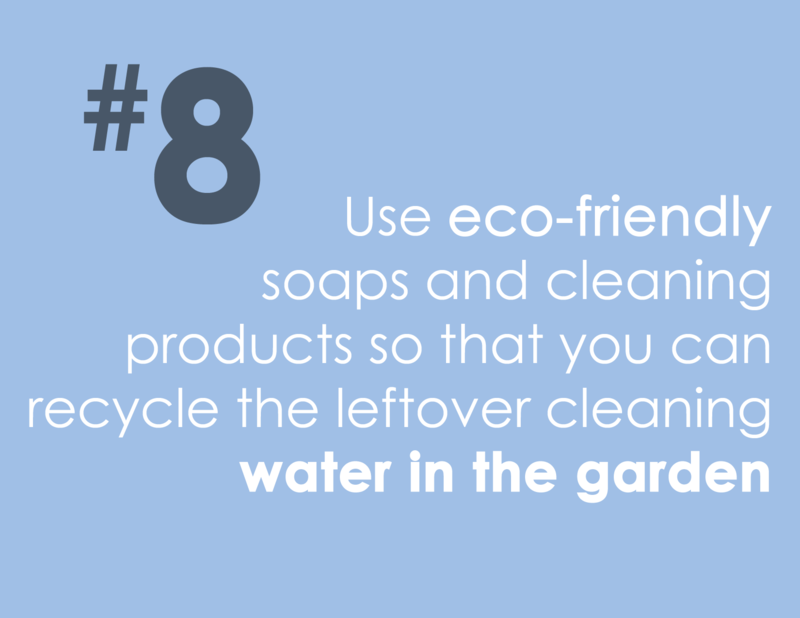 Switch to natural shower and bath products as they’re not only better for you, they’re better for the environment as well. 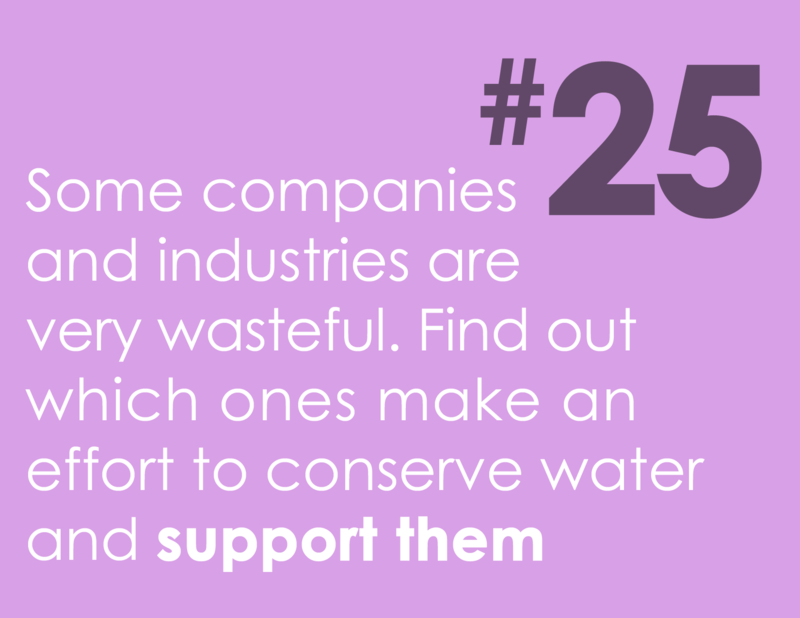 support companies that make an effort to reduce their water footprint. Don’t rinse with running water when washing dishes by hand. 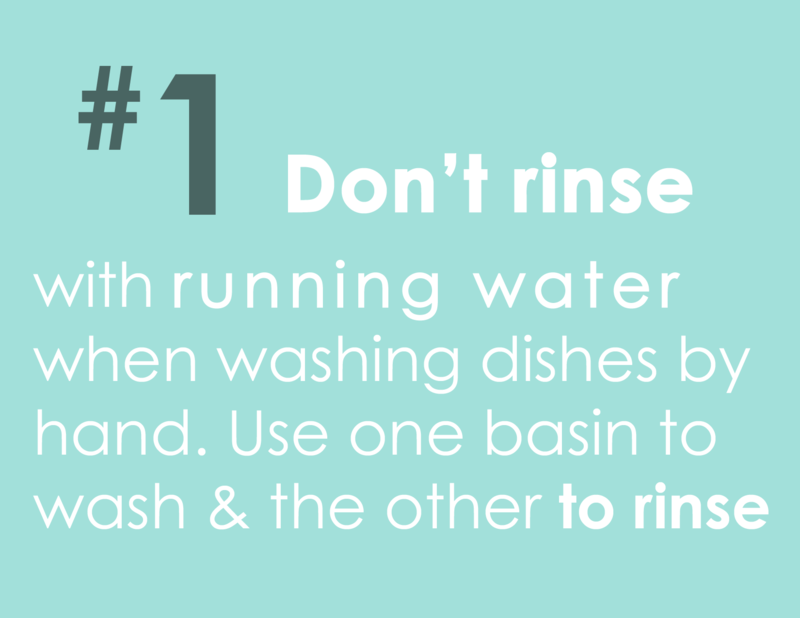 Use one basin to wash and the other to rinse. 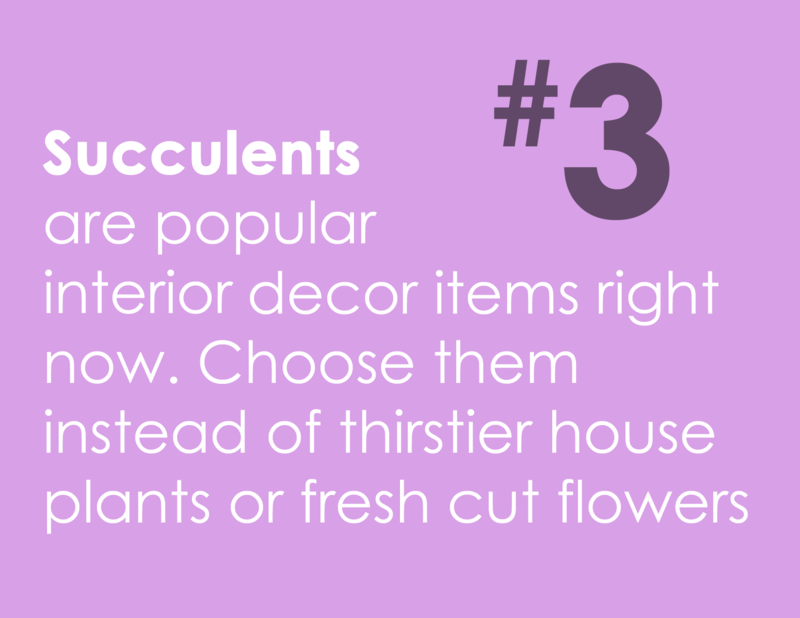 Succulents are popular interior decor items right now. 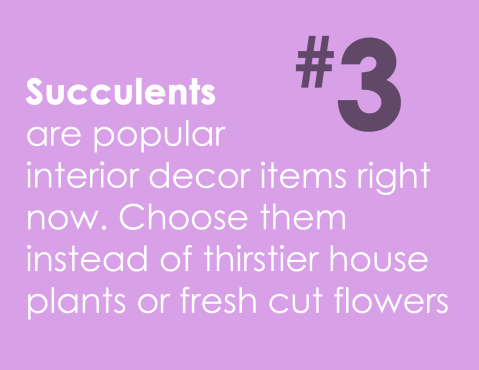 Choose them instead of thirstier house plants or fresh cut flowers. 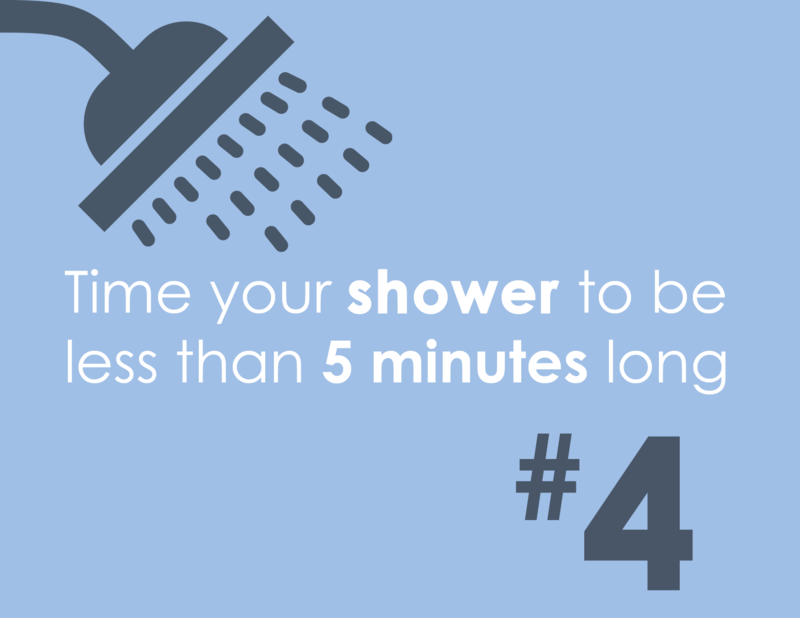 Time your shower to be less than 5 minutes long. 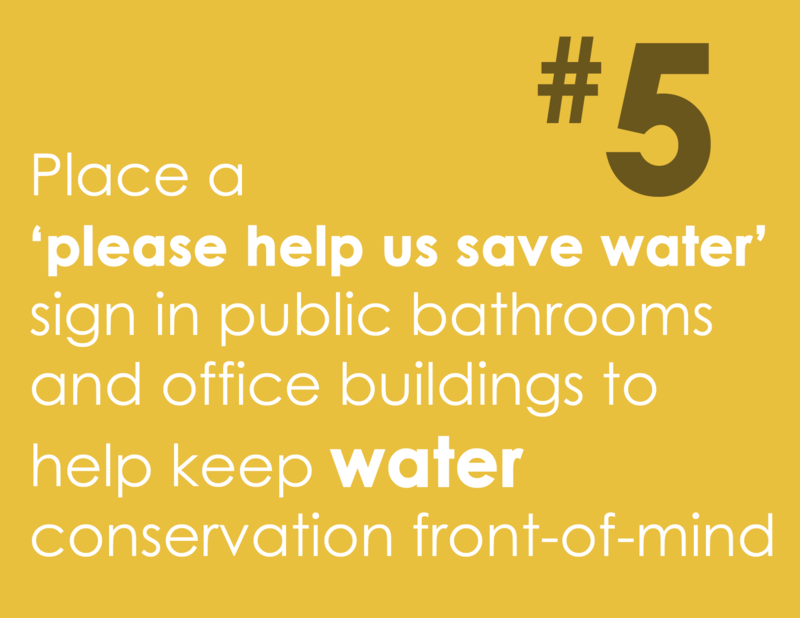 Place a ‘please help us save water’ sign in public bathrooms and office buildings to help keep water conservation front-of-mind. 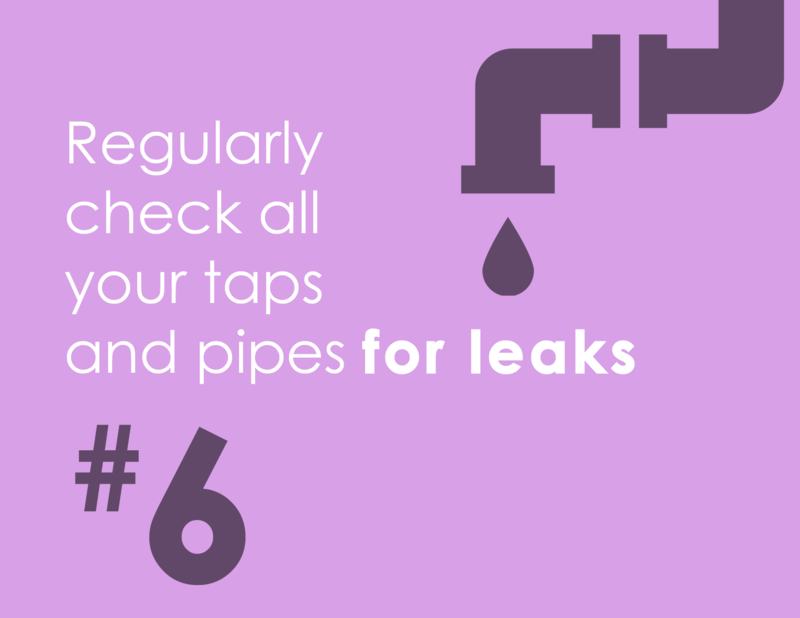 Regularly check all your taps and pipes for leaks. 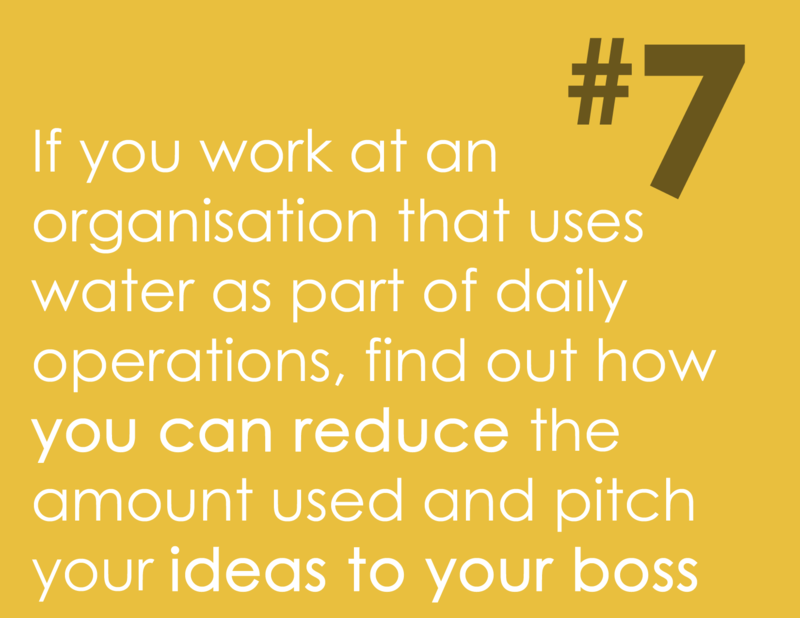 If you work at an organisation that uses water as part of daily operations, find out how you can reduce the amount used and pitch your ideas to your boss. 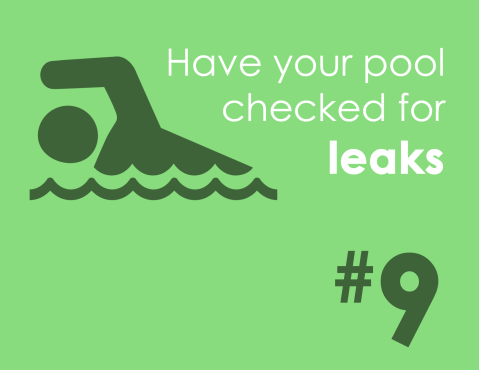 Have your pool checked for leaks. 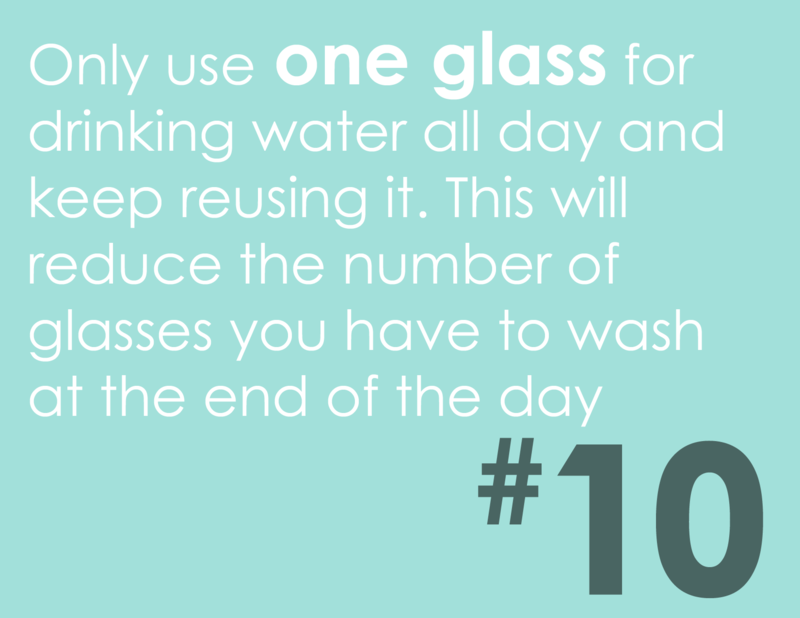 Only use one glass for drinking water and keep reusing it. This will reduce the number of glasses you have to wash at the end of the day. Installing an instant water heater means you don’t have to let the water run while you wait for it to heat up. It also saves energy and is more convenient for you. 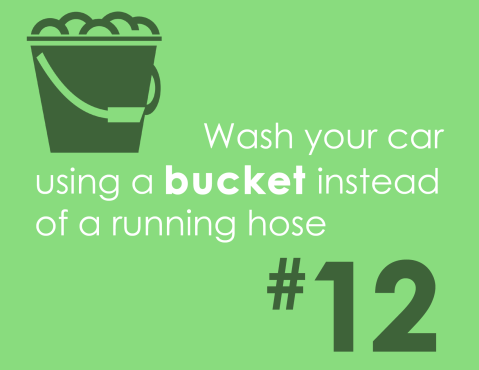 Wash your car using a bucket instead of a running hose. 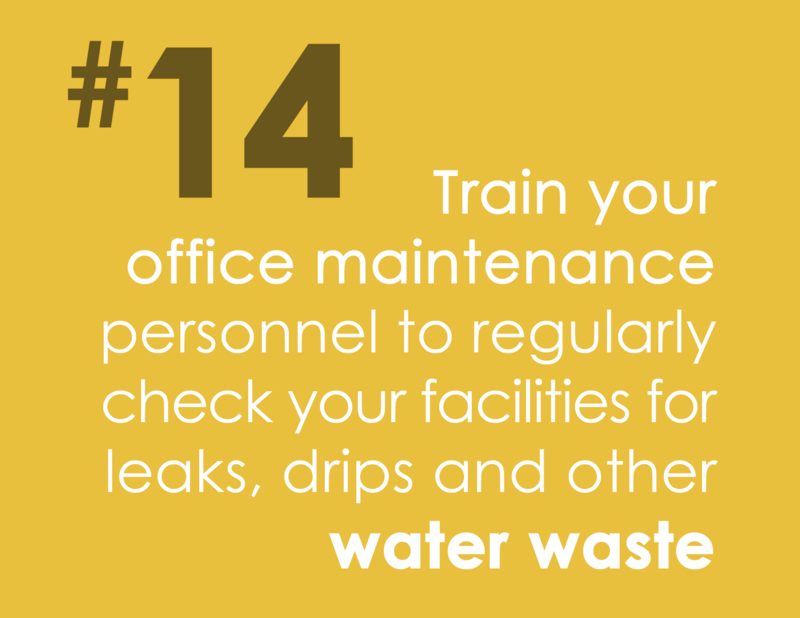 Train your office maintenance personnel to regularly check your facilities for leaks, drips and other water waste. 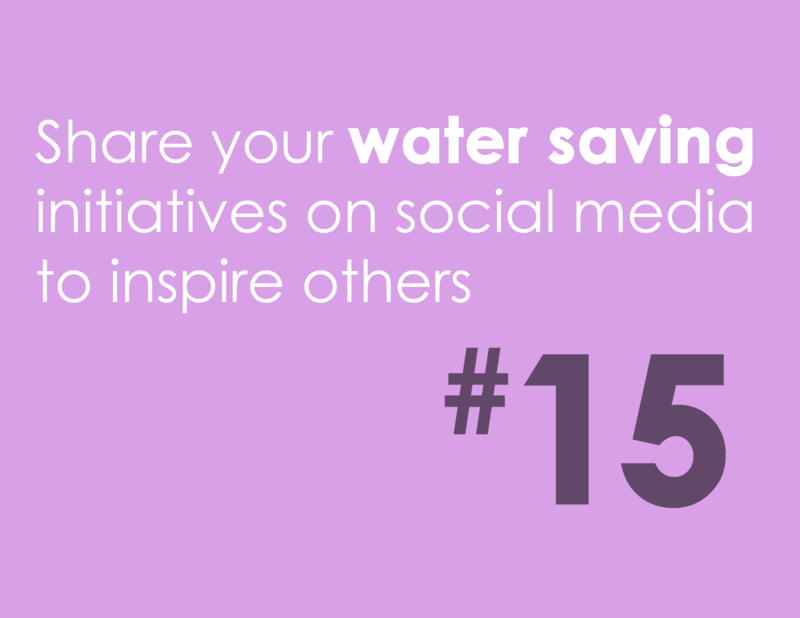 Share your water saving initiatives on social media to inspire others. 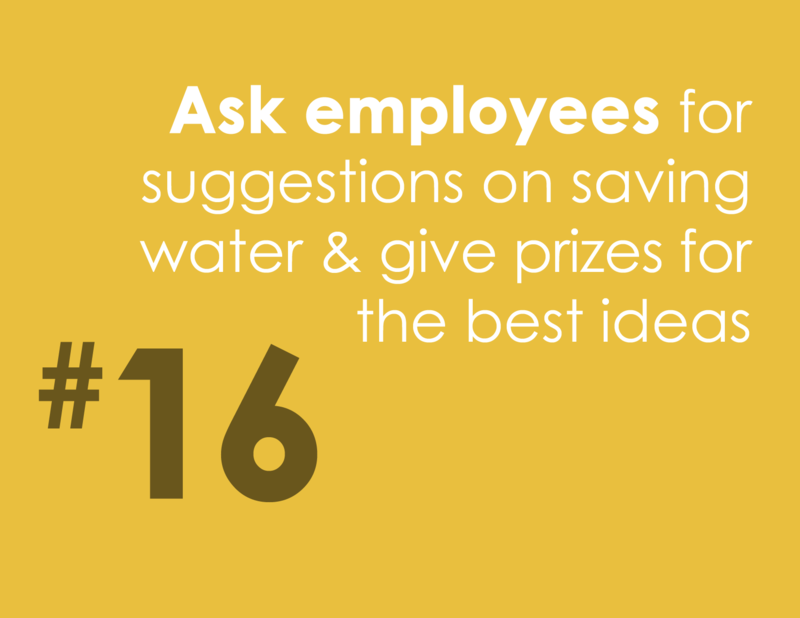 Ask employees for suggestions on saving water and give prizes for the best ideas. Eat more foods with a high water content to help you meet your hydration requirements. 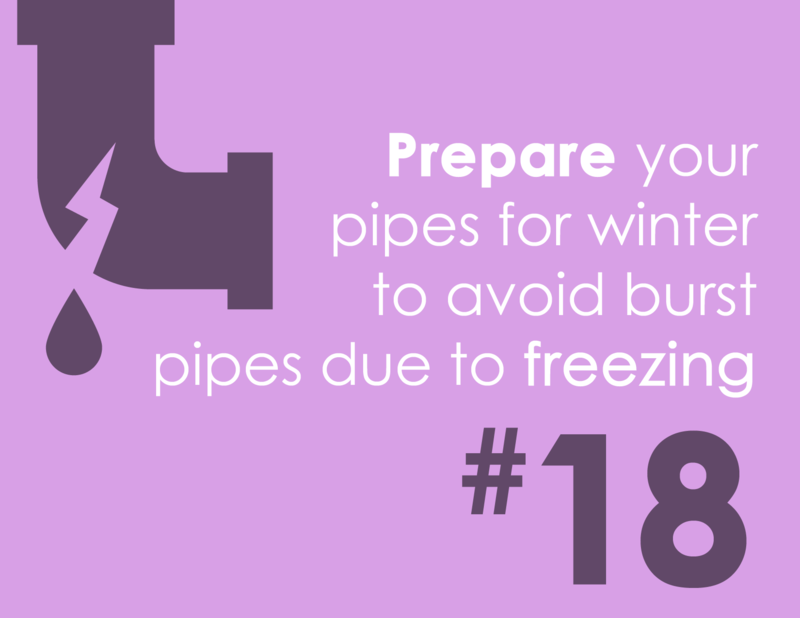 Prepare your pipes for winter to avoid burst pipes due to freezing. Place a bucket in your shower to catch the spray as you get clean. 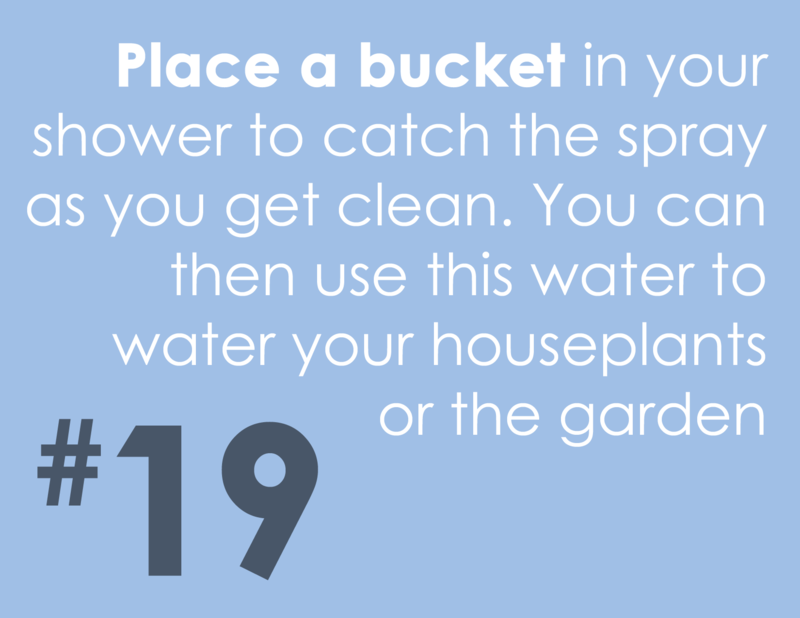 You can then use this water to water your houseplants or the garden. 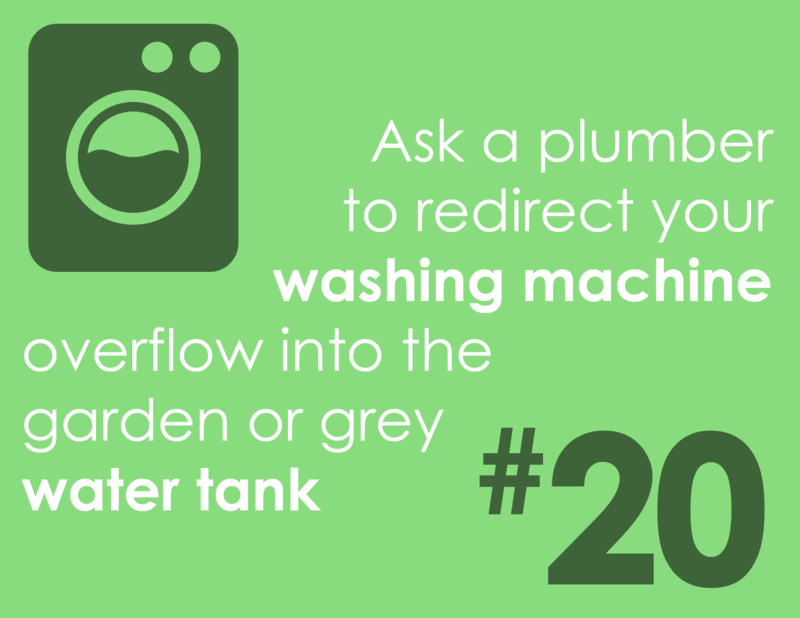 Ask a plumber to redirect your washing machine overflow into the garden or a grey water tank. 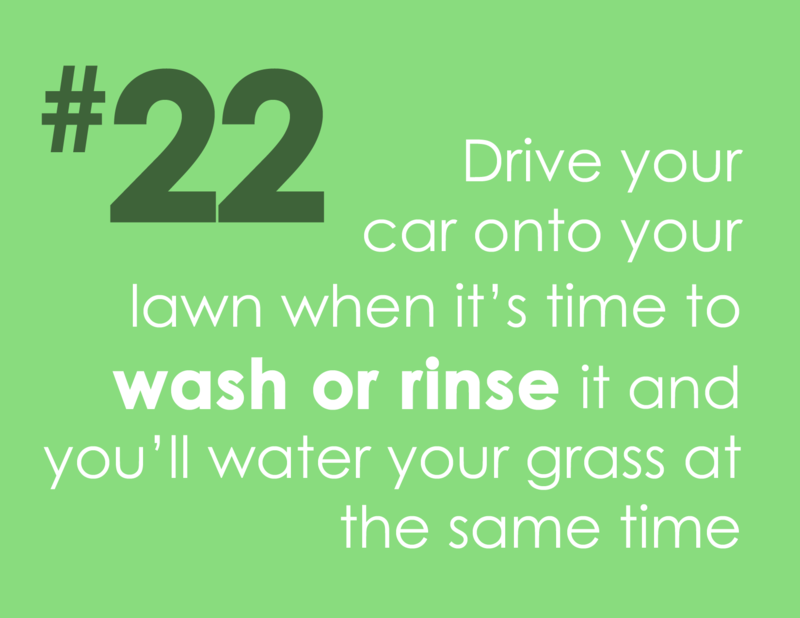 Drive your car onto your lawn when it’s time to wash or rinse it and you’ll water your grass at the same time. Some companies and industries are very wasteful. 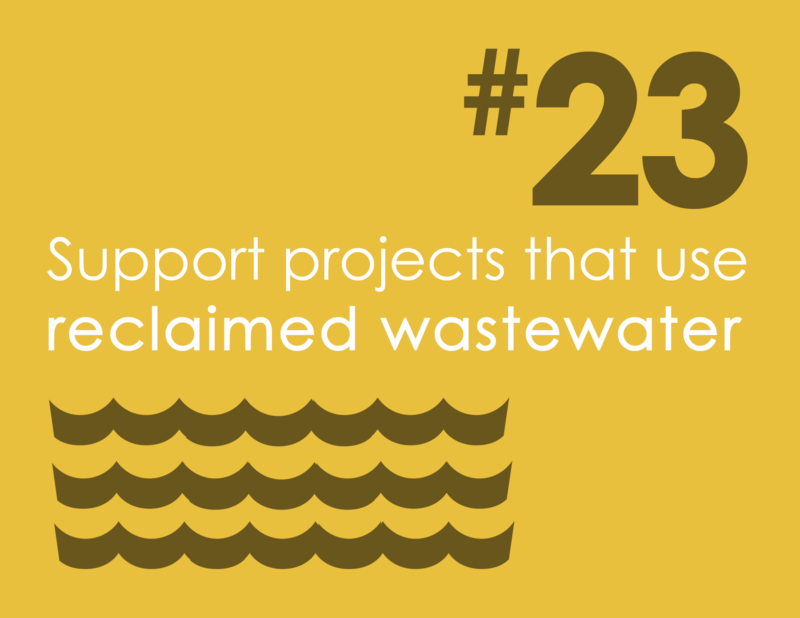 Find out which ones make an effort to conserve water and support them.